A complete set of tools lovingly designed to support your commitment to practice mindfulness daily. We make it easy to fit meditation into your daily routine to get its benefits such as reduced stress/anxiety, better sleep, mange pain and increase performance. You have full control over reminders and daily routines that break your daily practice into small but highly effective and digestible mindful pauses, lessons and practices. Daily lessons help to refine and tune your personal path to peace. The Healthkit integrated timer supports building your mindful minutes practice. And the “Lifelog” captures your own journal to discover insights. "I am bipolar and anxiety is a constant struggle for me. I started mindfulness a few months ago after my new therapist recommended it & found the breathing exercises helpful but really easy to forget or ignore. This app has reminders, guides you through the meditation techniques & the best part is the pause button. When I start feeling tense I just take a little pause and get my breathing under control. Having the images to view while breathing activates more of my mind freeing the anxious thoughts. The reminders can be set for whenever or how often I may need them which helps me return to the moment when I don't even realize I'm tense. I highly recommend this to anyone who suffers from anxiety or just wants to live a more mindful, present life." - Simple Start program: 21 days of free mindfulness audio lessons. Themes include mindful breathing, body awareness, kindness, and present moment awareness. - Pause button: take a 15-second mindful Pause whenever you’re stressed or catch yourself on autopilot. 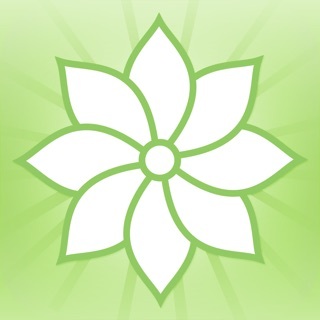 - Timer: for meditation, includes integration with iOS Mindful Minutes. - Reminders: set personal reminders to nudge yourself to be mindful throughout the day. - Explore: select from a library of guided and self-guided practices. Extended practices available for purchase. - Lifelog: notice patterns and gain insights from your Lifelog as your commitment to mindfulness takes root. - Remix: after you’ve completed 21 days of mindfulness, use the unlocked Remix feature to continue practicing mindfulness your way. Major update: New “Today” screen, “Now” cards and reminders fit Mindfulness easily into your daily routine. Try adding new reminders or activities to your Morning, Day or Night routine that link to your favorite programs, tracks or pauses. Throughout the day you’ll see the most relevant “Now Cards” from your Today screen read to complete. They’ll update based on your Morning, Day and Night routine settings and what you’ve already done. For those using our meditation timer, we’ve moved that to the upper right side of the homescreen. We’re also about to launch premium content in the EXPLORE section of the app with more on its way! There are a few other changes you may be happy to discover like a dedicated reminders screen, a simpler account screen and a self narrative screen that allows you to track things like positive and negative beliefs. Let us know what else you’d like to track contact@inward.me. All in all we’re trying to simplify the app while increasing the control you have in personalizing it around your unique daily life. P.s., We’ve also produce our first song as an experiment with the amazingly talented Nina Grae, which we’ll be releasing soon via the Explore > Playlist > Nina Grae section of the app. We’d love your feedback on that when it comes out! I have ADHD and I'm a student at university. I don't know anything about mindfulness and have never been the "meditate and eat quinoa" type, and I'm suspicious of anything that feels like it might involve a chakra. This app, however, has been wonderful. It explains the most basic tenets of mindfulness in clear language: how to deep breath, how to focus, etc. each lesson is separated into days, and each day has a little challenge for you to do in addition to the lesson ("focus on one part of your body today"). It's all very clear and methodical with nary a crystal in sight. I highly recommend this to anyone who self-harms or takes all their tensions that feel too big out on their bodies. I can get so stressed in all I have to do that I just pace around feeling overwhelmed. Just today, instead of hurting myself just to get some focus, I instead remembered the breathes. Each time I had that impulse I stopped and took two breaths. I felt better, and could clear my head. This has been something that I've never been able to do before, and I'm grateful for these techniques. All in all, this is a lovely easy to use app. My only complaint is the instructor speaks too frequently during the lessons. I find it distracting (again: ADHD) I wish there was an adjuster bar to customize how many seconds she takes between phrases. I love this app. However since the update, it doesn't work properly. It glitches during pauses which causes me to hyperventilate. I do a lesson, the voice cuts out twenty seconds from the end and I don't get credit for the lesson. It's all becoming very frustrating and that's the opposite reason I chose this app in the first place. So don't get me wrong, before the update, this app worked perfectly. I miss the way it did. I actually lost 26 days of progress after the update as well. Customer service was excellent in helping me find what the issues were in my experience. I'm using an older iPhone, which I'm upgrading next week. So the issues I was experiencing weren't due to the app. Customer support was prompt, professional and very helpful. I'm very happy with this app as a choice for mindfulness. Thank you for the outstanding service! If I were going to offer any suggestions for improvement it would be if the breathing sequence background video could be filtered. Some of the backgrounds are more helpful than others in that some can create stress because they remind me of certain things. It would be neat to be able to be able to purposely choose certain themes and also prevent other themes from being played in settings. Thank you for creating the app.